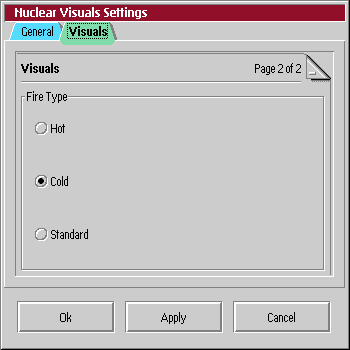 Nuclear Visuals is a free analyzer plugin for PM123. It uses the Dynamic Windows programming toolkit for the settings dialogs. 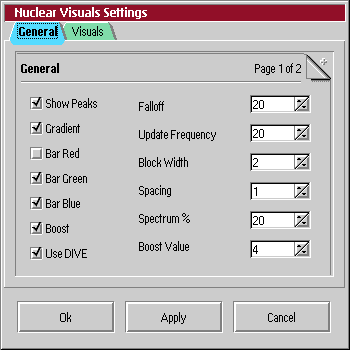 Nuclear Visuals can either use DIVE to display the visualizations or the slower GPI functions. It has a number of settings that can be changed on the fly. Download the plugin here and the source code here. Here are some screenshots of Nuclear Visuals in action. Visualizer in the PM123 window.